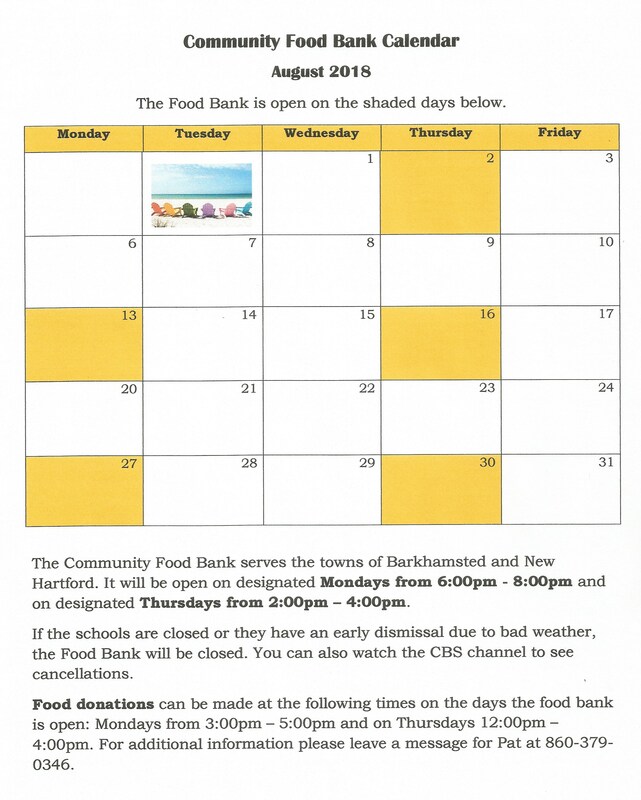 The August calendar for the Community Food Bank is shown below. As a reminder, this food bank services residents in New Hartford and Barkhamsted and is located at the Pleasant Valley United Methodist Church. To view the calendar larger, simply click on it.